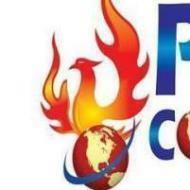 Phoenix Computer Institute provides Graphic Designing Classes, Tally Software classes, DTP (Desktop Publishing) classes, Adobe Photoshop Training classes, Computer Course classes to students. Phoenix Computer Institute conducts classes in Adobe Photoshop Training, Computer Course and DTP (Desktop Publishing). It is located in Faridabad, Faridabad. It takes Regular Classes- at the Institute.